These cabinets save space and are very comfortable. We just use them without even thinking how much kitchen utensils can hold. This is a cabinet for frying pans and their lids. 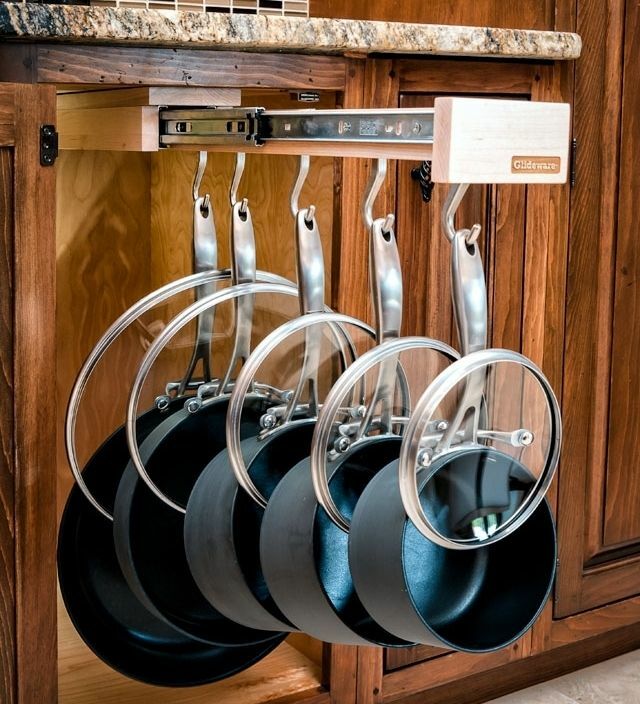 The door opens, the slider pulls and metal pans with different sizes and dimensions are hanged on metal hooks. You’d be surprised that this not very complicated gadget provide easy use and creates a sense of order and convenience. And how little is needed – an idea, some imagination and a flair for functionality. Only who knows the problems of the kitchen and lots of utensils in it can appreciate this idea and the options it offers.